You may not know it, but your CRM is like a beginning of lettuce. With time, your CRM data will start to wilt and go limp. Untended, it will decay further and rot. Most data within a CRM has a shelf-life, whether months or years. The only firmness is that the data will decay with time. People will get new phone numbers and email addresses. They will change positions within a company or move to a new firm. Interest in a product at your company will evolve or decline over time. Customer sentiment after a good support interface will fade with time. Further, your CRM itself will age. Custom fields that made sense two years ago might no longer be useful. Contact tagging will get messy over time. Duplicates will disorder your database. The most important protection task is making sure your data is clean. First, you must have some form of de-dulcification in place. This is often built into your CRM by default, but if it is not you should have a process or service to handle this key function. Second, set up a procedure for uncovering missing or incomplete data within your CRM so you can make sure that contacts are tagged and data is formatted every time within your CRM. Lacking this, searches and metrics can be affected. Third, have an arrangement or service in place to refresh data with current information from directories such as LinkedIn so the information in your CRM remains current. Over time, about every CRM system suffers from bloat. These can include custom fields that are no longer useful, tags that don’t serve any real purpose, or businesses processes that are inefficient or have been left unmanaged. Periodically a link times per year at minimum review your CRM end-to-end to see what’s useful and what’s mess or bloat in the system. Removing unneeded elements and simplifying your CRM system is a small maintenance task if handled on a regular schedule, and it keeps the system efficient and improves the user experience. Your provider backs up your data automatically if you’re using a cloud-based CRM. That doesn’t mean you should lean entirely on your CRM provider to keep your data. Part of good CRM maintenance is backing up your system periodically so no matter what happens on the web or with your provider, your priceless CRM data is safe. He advises that firms should set up automated backups that regularly store a copy of your CRM data in multiple locations in case of an emergency or technical glitch. The tech behind your system is managed by your CRM provider, but there’s still the need for magazine system performance tuning. Your CRM is connected to various other services, so it is important to review these associations and make sure all the parts of the system are still functioning properly. 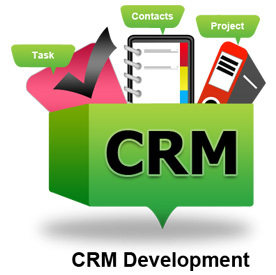 Also look at the processes within your CRM system to make sure there is no leakage. You also will want to review your integrations specifically to make sure they are the theater as expected and there have been no API changes or adjustments to your CRM system that limit or break the expected functionality. A few years ago, for instance, many CRMs touted social CRM and came with FacFacebooktegration. Then one day Face book changed its API and everything broke. None of this continuation is necessarily hard or complex. The trick is setting up systems to make sure essential CRM maintenance is really performed.